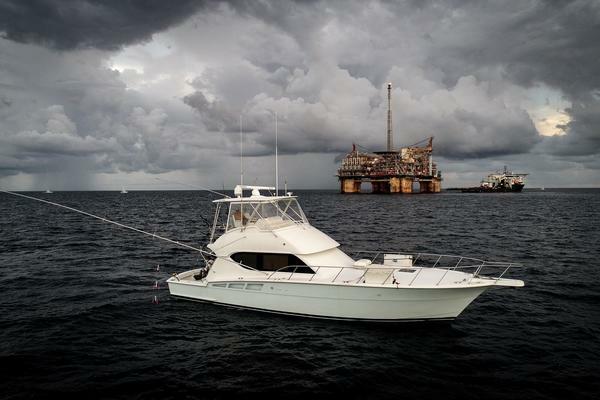 Here is a chance to get in a classic sportfish. This one is a proven fish raiser. It has and will get you to the fishing grounds and back in comfort. If you are looking to fish or cruise this is the boat to do it on.BRING ALL REASONABLE OFFERS!! 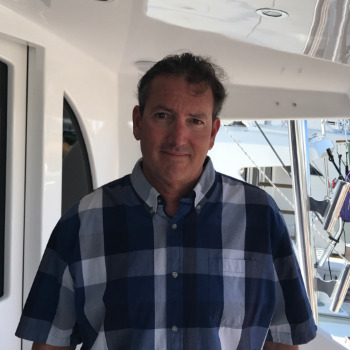 United Yacht Sales New Jersey would love to guide you through a personal showing of this 43' Egg Harbor 43 Sport Fisherman 1988. 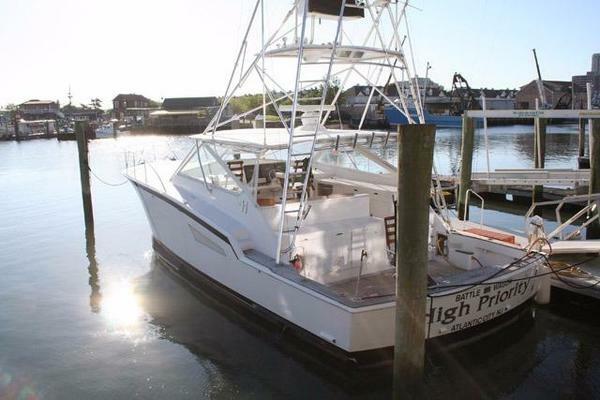 This yacht for sale is located in Cape May, New Jersey and priced at $69,000. For a showing please contact us by filling out the form on this page and we will get back to you shortly! You enter the boat in the large cockpit. The salon door is offset to the port side. The salon is large with a L-Shaped couch on the star side. A dinette on the star side as well forward in the salon. On the port side forward in the salon is the galley. It is a step-down galley with everything you need. Forward of that are steps leading down the middle of the boat. On the starboard side is a bunk room with two bunks. On the port side is the head and full shower. All the way forward is the master stateroom. The bed is queen size and center line. The galley is on the port side forward in the salon. It is a step down. There is a stand up American refrigerator and freezer. A stainless steel sink, Galley made 3 burner stove, and a Magic Chef Microwave. Storage compartments throughout. The deck in the cockpit has been nonskid recently. The hull and house is white gelcoat. The decks are molded in nonskid. Hard top, outriggers, 3 sided Eisenglass, bow rail, rocket launcher, rod holders, teak cover boards, helm seat, forward seats on the flybridge, ladder, transom door. One of the largest 43 footers ever built. This one has caught its fair share of all species of fish over the years.